Available in portable design or with an optional mounting bracket that can be permanently installed to deter theft. 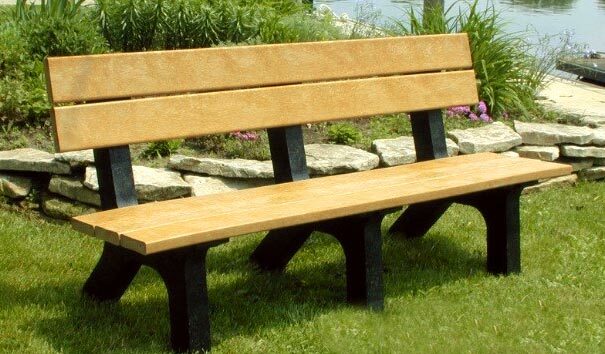 This rock island recycled plastic bench will grace any outdoor setting. Choose from 8', 6', and 4' lengths. Choose the optional arm rests for that finished look!